In the modern era of using smartphones are you using the smart keyboard? Yes! Smart keyboard, Not heard the term yet? Everyone uses the smartphone now but not everyone uses the smart keyboard. Now, the question arises what do you mean by smart keyboard? 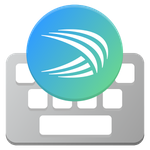 Swiftkey is the only keyboard by Microsoft that allows you access to the various new features. Swiftkey is the on-screen keyboard app that allows you to type easily with various writings types, fast typing, millions of emojis, GIF and stickers. The swift key allows you to choose wallpaper on the keyboard background of your own choice. It will help you out in finding genuine and actual predictions of the existing sentence without any errors. It comes with the auto-correcting feature that will make an incorrect word/sentence correct on its own. You can select across various different themes according to your typing taste and preference from millions of different themes depending on your choice of colour, font, design etc. Set keyboard size, page layout and choose according to the language you want on your keyboard from 300 different languages. 2. It allows you to type faster with the unique way of typing (type less and do more) feature. 3. Swiftkey key is best in finding out the most helpful predictions on the existing sentence to bring out more productivity. 4. It provides an auto correct feature that will make your incorrect word/statement correct that you miss by coincidence. 5. Type /text and send different emojis bitmojis stickers and gifs from across millions of choices. 6. 100+ different themes with different colours are available you can also customize them according to your own taste by setting background wallpaper and photo of your own choice. 7. Swiftkey keyboard is not bounded in only one language it allows to you access 300+ different languages. It lets you enable 5 languages at a single time. You can learn to write different languages with his 300+ language access feature. It will let you increase your vocabulary by teaching you different and new words. It also gives you faster typing tips from swiping from letter to letter to type a word. If you want more great features like sync, backup, custom look of themes you can sign-in to Google and Microsoft. Note: If you are downloading apk from a place other than play store then must enable unknown sources in your device settings that will allow apk to install. Installation and downloading will take several minutes so be patient. Access to the Swiftkey keyboard and enjoy the various features.